Many are promising but remain works in progress. Microsoft’s next Windows 10 upgrade, code-named Redstone 4 and informally known as the Spring Creators Update, improves Windows in numerous ways. But Microsoft has also added innumerable under-the-hood adjustments. That’s why this roundup exists: to underscore smaller additions you might miss, or explain subtle changes in how Windows 10 works. One of the continued complaints about using Windows 10 is Microsoft’s use of telemetry, i.e. collecting all sorts of information about you as you use Windows. 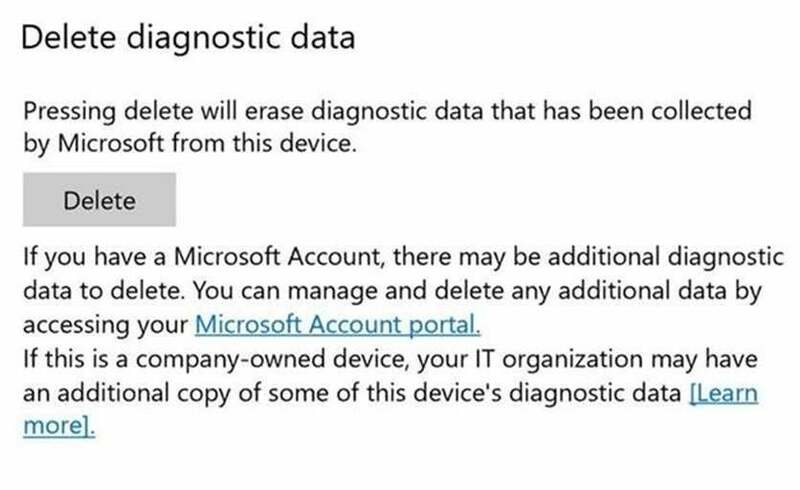 Well, in addition to the privacy controls already built into Windows, there’s now an actual Delete button (Settings > Privacy > Diagnostics & Feedback) which removes all of the diagnostic data that Microsoft has collected on your device. As the disclaimer notes, you may have information associated with your Microsoft account stored within the cloud. You’ll have to visit Microsoft’s privacy dashboard to purge this information. Even though a discrete GPU could power the image manipulation capabilities in the Windows 10 Photos app, my laptop’s integrated GPU can do it just fine. Don’t worry, this isn’t another case of Windows intruding into your life. With most apps, letting Windows make the decision is perfectly reasonable (apps actually have the final say). But in the rare case where you’d prefer your integrated GPU to run a simpler game like Asphalt 8 to preserve your laptop’s battery life, this new control allows you to do that. Microsoft wants you to stream PC games via Mixer, and to help you do that, it’s revamped the Game Bar. Now you’ll find a clock (hurray!) as well as toggles to turn your mic and camera on and off. You can edit your Mixer stream title. Game Bar’s still a bit obtrusive at times, and could become more so, the more toggles and switches Microsoft is tempted to add here. But the new additions are useful. Microsoft’s updated Game Bar adds new options. Many of us have a few favored fonts, and that’s it. But for those who prefer a more varied typeface, Microsoft now allows you to download new fonts from the Microsoft Store. 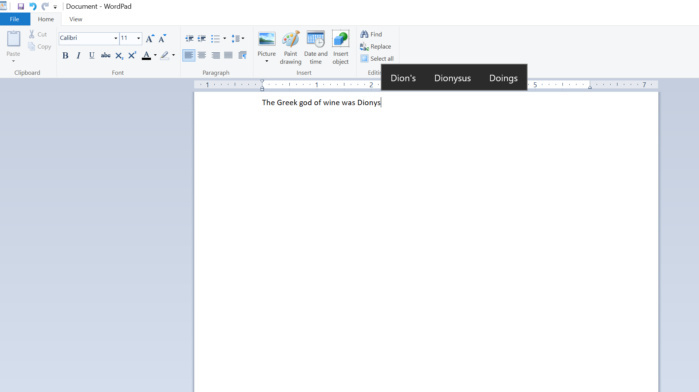 There’s only nine or so as of this writing, but Microsoft seems to be planning to add more, just as the company has added dozens of Themes to personalize your PC. 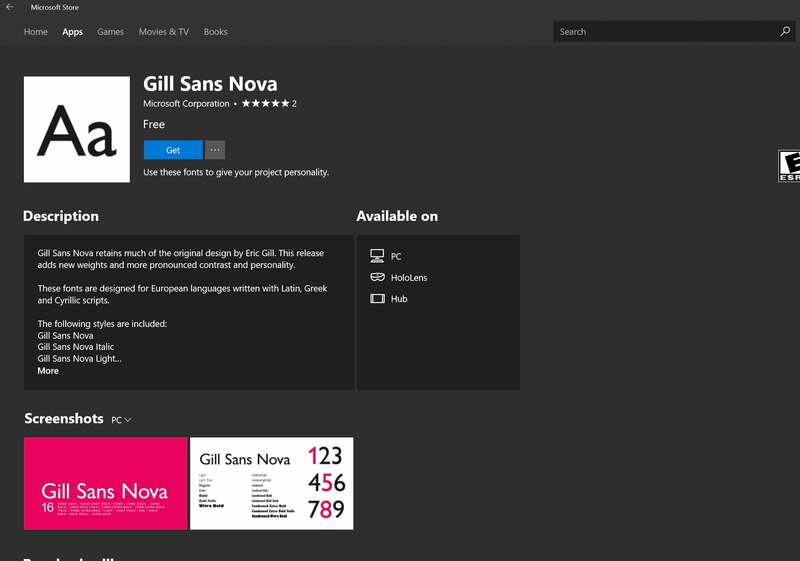 Downloading fonts from the Microsoft Store app might seem a little odd, but it’s easier than tracking them down elsewhere. These fonts can be managed from your Settings menu, specifically Settings > Personalization > Fonts. While the settings allow you to preview a font in its various derivatives (regular, black, bold, italic and bold italic for the Arial font, for example) it also allows you to adjust new, variable fonts like Bahnschrift. Clicking Variable font properties down at the bottom of the page allows you to adjust its weight and width. Normally, Bluetooth pairing on a PC goes something like this: via Settings > Devices > Bluetooth, you click the + icon to begin the pairing process, then initiate pairing on the device as well. The Spring Creators Update partially eliminates Windows from the equation. When you trigger a pairing request from a device, Windows pops up a notification asking you whether you’d like to go through with the request. Microsoft calls this Swift Pair. Within your own home, Swift Pair sounds great. But in a crowded airport lounge or a community workspace, Swift Pair seems rife for mischievous or outright malevolent exploitation. Regardless, you won’t be seeing much of it, as it’s enabled only for the Microsoft Surface Precision Mouse, at least for now. Don’t expect to see this feature much right now, but it’s possible it will show up more in the future as Microsoft adds support for more mice. 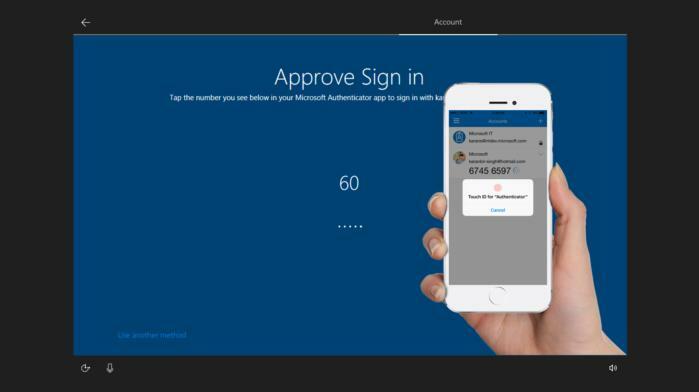 If you use a Windows 10 S machine, you’ll now have the option of completely eliminating passwords in favor of the Authenticator app for Android or iOS. Essentially, Microsoft’s sneaking a more secure two-factor authentication method into your PC. The Windows mobile authenticator app could take on a more prominent role within the coming months. I haven’t tested this personally, as I previously migrated PCWorld’s in-house Surface Laptop onto Windows 10 Pro. But I’ve used the Authenticator app frequently. The app either offers you the option of entering a time-limited code into your PC, or, more conveniently, allows you to approve an authentication request with a single click. Given that Windows 10 S is apparently becoming the public face of Windows 10, you may see this option more and more. 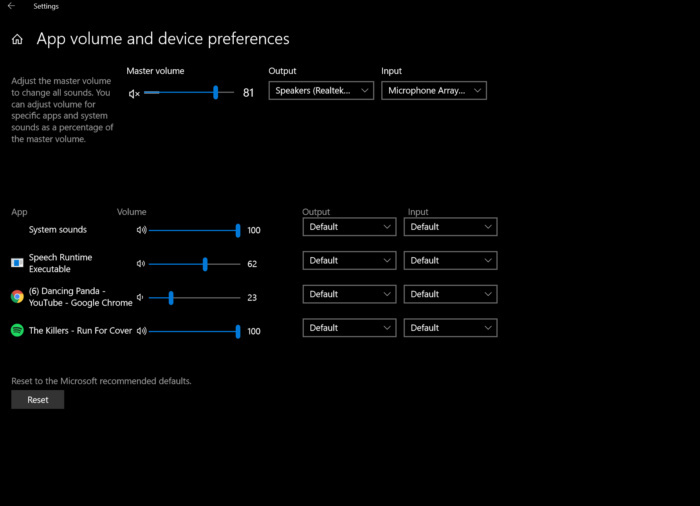 The Audio Settings menu duplicates some of the taskbar controls, but does so in a way that consolidates most of Windows’ audio settings within Settings, rather than the Control Panel. While the new Settings menu adds individual UWP app controls within the Audio settings, it conveniently leaves them in place on the taskbar, too. What’s new are handy audio and mic level indicators that provide real-time feedback. It’s extremely frustrating, though, that Windows still doesn’t offer a basic graphics equalizer—even though Microsoft added one to its Groove Music app, then killed off the Groove service that powered it, then routed users to Spotify. Does the Spotify app have a graphics equalizer yet? Of course not. Within this release, Windows 10’s Spring Creators Update tries to provide the same smartphone-like autocorrect and autosuggest functions for the hardware keyboard that it does for the software keyboard that pops up on Windows tablets. Neither, unfortunately, really delivers. The autosuggest feature for hardware keyboards within Redstone 4 is a weak first effort. Microsoft can and should do better. Within Settings > Devices > Typing, you have the option to toggle on auto-correct capabilities as well as auto-suggested words—but, oddly, auto-suggested words were enabled only if you toggle on auto-correction. As you type in apps like WordPad or Word, Windows pops up a list of three suggested words. Unfortunately, Windows’ guesses are consistently poor; typing “dipt” yielded guesses like “football.” And the way in which you actually select your word choice—clicking the up-arrow, then clicking the left- and right-arrow to navigate to your choice—quickly makes auto-suggestions a chore. Every smartphone’s keyboard already knows how to properly suggest words. When will Windows learn? For some people, eye tracker peripherals such as those made by Tobii remain their primary way of interacting with Windows. (Windows won’t track your eyes with your laptop’s built-in webcam.) For those who routinely use them, Microsoft has fine-tuned the shortcut menu in which users can interact with Eye Control, including a way to pause Eye Control to passively watch a video. This small control window provides handy shortcuts for eye trackers using Eye Control. Chances are that you don’t own an exotic, expensive, state-of-the-art HDR display. But Microsoft is looking forward to a day when both professional artists and everyday users enjoy a panel with higher graphic fidelity. 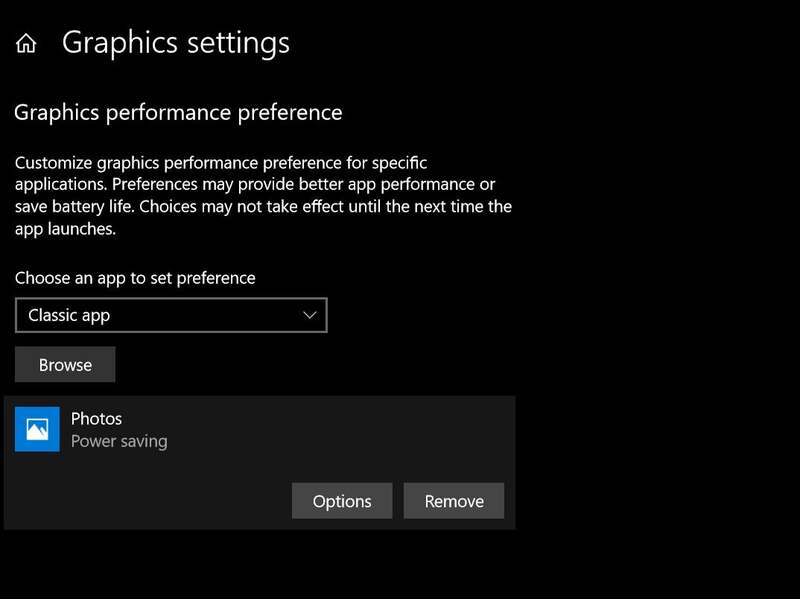 Within the Fall Creators Update, Settings > Apps > Video Playback allowed you to toggle HDR support and apply processing power to improve the visual quality. 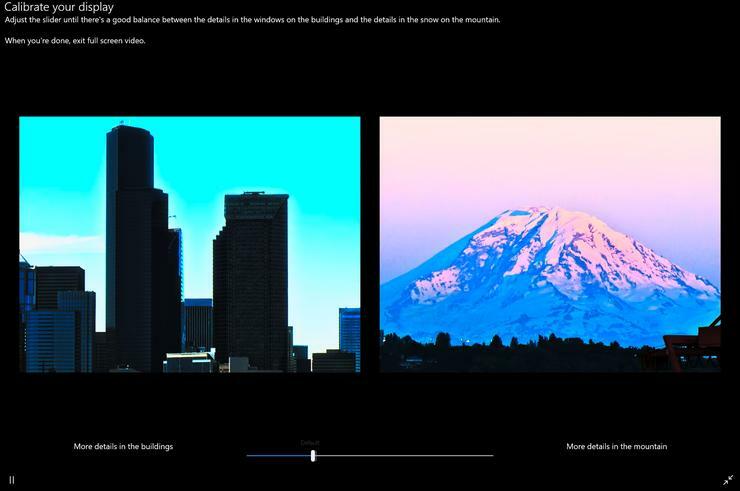 Microsoft’s HDR calibration page allows you to favor details in darker or lighter scenes via a slider bar. You also have more options when choosing to play back video. Within the FCU, you had the option to emphasize better battery life or better video when playing back video, including applying processing power. The latter option reduced battery life as it brightened the screen. Now, you have the option of leaving the screen brightness dialed down, while still applying more processing power to clean up the video. Although I could see noticeable changes to the demonstration video on Microsoft’s page as I adjusted the settings, I wouldn’t say there was any measurable improvement. Part of that might have been because Windows mistakenly identified my test Surface Laptop as a device capable of rendering HDR video. The graphics properties of my adapter indicated that both the Laptop’s display, as well as an external HDR-capable monitor in our lab, were still being rendered in SDR mode. If HDR does take off, Windows will need to indicate more clearly to users what their visual options are. Microsoft debuted MyPeople within the Windows 10 Fall Creators Update, allowing you to include icons of up to three of your closest friends within the taskbar, and giving them the ability to send pop-up notifications that included emoji. 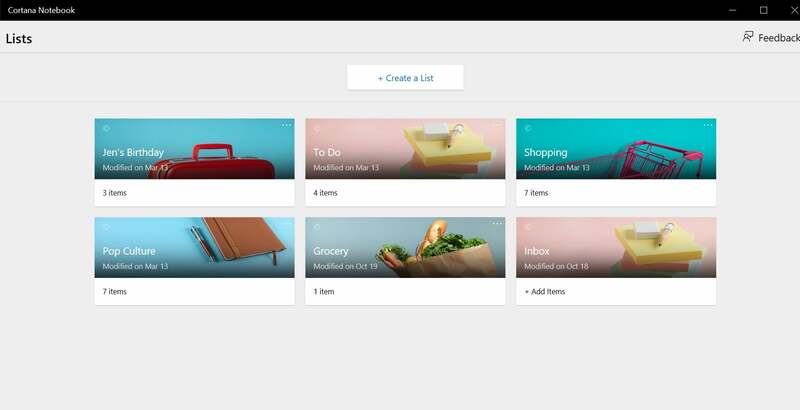 Microsoft originally limited the number of MyPeople friends to three; ten is now the limit. You can now drag and drop the icons to rearrange them, too. Previously, Microsoft hid any overflow within a separate, default icon. Now the friends who don’t rate being included on your taskbar hide underneath the MyPeople icon itself. The appointment of Javier Soltero (responsible for the excellent Outlook mobile app) as Cortana’s new boss will hopefully fast-track Cortana’s development, which has stagnated. For now, the only real addition to Cortana is updated Lists, as well as better natural-language recognition, a la the Harman-Kardon Invoke. Cortana was supposed to have added a sort of meta-List, called Collections, with suggestions for recipes, websites, and more. But the only suggestions Cortana provided were on my to-do list, such as “homework” and “water plants.” C’mon. This is Cortana’s Lists. Graphics aside, this is a pretty sorry to-do app. Meanwhile, one important aspect of Cortana, the “I’ve got more for you” box, has been actively demoted. This feature used to pop up a list of relevant news stories, stock prices, sports scores, and more within the Fall Creators Update. Microsoft supposedly planned to migrate it into the Notifications Center in the lower right-hand corner. If so, it never made it to my Insider builds. Microsoft announced a preview app called Cortana Show Me in a late Insider build. Though it hasn't yet downloaded to my machine, it sounds useful: like the "out of the box experience" that uses the friendly Cortana persona to help set up a new PC, Show Me walks you through a series of guides of common Windows tasks. So close...and for Windows 10 users, so far. Most gamers would love to see this option migrate down to Windows 10 Pro—or even a hypothetical Gaming Edition—but it hasn’t happened yet. As with any Microsoft feature release, there are many more upgrades and changes than we’ve provided here. What are your favorites? Check out PCWorld’s Twitter feed or Facebook page and let us know.